The ladies of the Mystery School meet again during the dry month of January. There are questions about the blue-coloured depictions of the Gods in many civilisations. 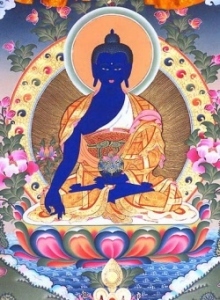 Jalarm shares that those how have access to the higher vision by way of their lifestyle and austerities can see things as they actually are, in addition to vision of higher octaves of colour and vibration. 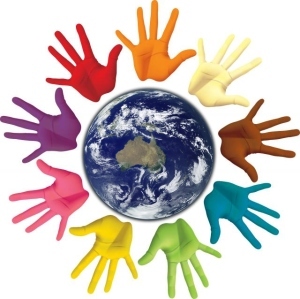 Everything is energy, and sound and colour are of the same vibration; a creative vibrationary essence. It is well known that the ancient Rishis of India had access to higher dimensions of existence. Jalarm describes the higher forms of life – human life. The Mystery School continues. Jalarm tells that there is no judgement about how we feel, for in some ways, this is what we came to experience. It is all in our Soul Contract. Valerie takes up a matter of another person stealing her energy on a soul level. Yet, on the physical level, this person is happy, laughs, jokes and is a friend. It takes much to learn of what is happening, and then, why is it happening? As Ecclesiastes says, ‘To everything there is a season and a purpose’. When a purpose is fulfilled, we move on. The Soul is ever progressing, and our consciousness walks the talk of the Soul Contract and continues the human journey in the spiritual milieu of sunrise, sunset, and life ever-changing, ever-evolving to its highest potential, as Jalarm surprises us with the last word. The Mystery School continues with its questions. Our cars have computers and air-bags, our vacuum cleaners have programmed intelligence and can clean floors without us, our swimming pool cleaners can do the same. There have been robots on assembly lines in manufacturing for many years. The science fiction writers scribe about intelligent robots in the future, and Isaac Asimov penned the three laws of positronic robots (scary, hey?). Kubrik’s movie 2001: A Space Odyssey was released in 1968. We have passed 2001 and many of these scenarios – and more – have become commonplace in our everyday world. The Mystery School asks questions. The Mystery School continues its discussions and talk around the subject of free will. It does seem that we have free will, yet, from other perspectives there are events that are pre-ordained. A need to reflect on free will and the purposes of taking birth, and the matter of soul-blueprints is considered. It is now that the forces of light and dark come very close, and there is an apparent need – as the Mystery School experiences on this day – to use discernment, spiritual sense and common sense about the materials that are being channelled. As the forces of light and dark are pushed towards one another, the presence of beings not of the light, confusion, obfuscation comes to light workers. What to do. 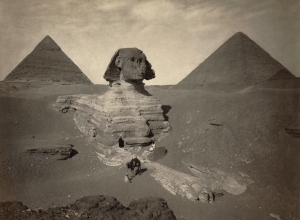 The Mystery School turns to questions about the Sphinx and the underground tunnels thought to be there. Through questions to the Oracle, the ladies of the Mystery School make a surprising discovery about an eternal fire, a flame in an underground temple below the Sphinx. The fire is told to be the Soul of the Earth, a Creative Fire from the Creative Source of All. Coming of Warm-blooded Creatures; Navigational Aids. The Mystery School has been called together to reveal the history of the Earth and its many civilisations and cultures that have been lost since the Fall of Atlantis. Much information comes from time out of human recorded history, and we are frequently reminded by “upstairs” that time is faster in those dimensions and in fact, due the higher dimensions present on Earth before the Fall of Atlantis – time was both marked differently and a faster dimensional energy that what we Earthlings experience now. In fact, our carbon dating systems do not detect these multidimensional energies and so do not give an accurate recording nor dating of artefacts. In the Old Empire and in the later times of many civilisations of star-peoples living here on Earth there was DNA sharing among species in order to allow the cold-blooded creatures to experience a warm-blooded life (and the feelings – emotions that go with such a life). The Mystery School asks about the ancient rock which allowed man to navigate the seas with the aid of rocks and stones that actually held a consciousness that could aid man in navigation. And so the Mystery School furthers its purposes and learns about – and shares – more of our lost history. The Mystery School had been in recess for some time for many reasons – for each follows their soul blue-print, and each has their duty to home, family, society – and even – the denizens of the various dimenions: Third, Fourth, Fifth and yes, the Sixth Dimension, the place of profound purity of Light and Love. Some would remember a song, Love makes the world go ’round!, for it rose and rose in the song charts and was mightily popular: an evergreen. This was a 1958 by Ollie Jones, popularized by Perry Como and The Jets. It is love that makes the world go round whatever is happening on the surface of our planet. 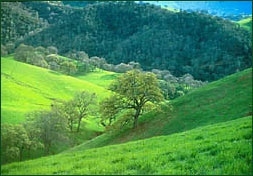 Some do lose heart and long for days of peace on our home, Mother Earth. On this day, The Oracle prompts us to recall that all prayer is heard, and accepted; that time spent in prayer, that energy offered up, is taken and used in places of need on our home planet. Jalarm welcomes the return of the ladies who comprise the Mystery School, and asks their questions, offers advise, and gently reminds them to use the Oracle as often as possible. 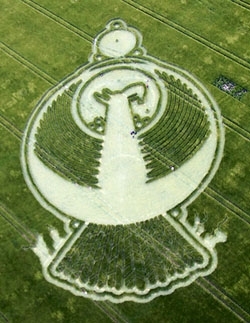 Over the years of Crop Circles being given to the peoples of Earth, some have shown bird-like beings – representations of birds on Earth, and symbols of bird-beings from other galaxies, dimensions and Universes. In this message, we take a look at imagery from crop circles and bird-symbolism from our own civilisations. 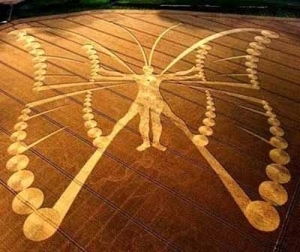 There are many crop circles portrayed in this note, and links back to particular parts of the transmission by the Ancient Eagle Woman, particularly about light, language, the language of light and the role of the Bird-like peoples in creation of the Earth. Many readers know of Valerie Barrow as one of the Mystery School. 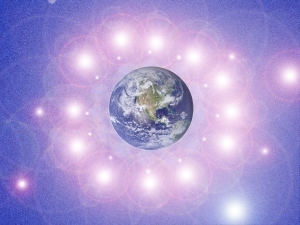 Valerie is a medium and serves as a lightworker. On the first Tuesday of each month a small spiritual circle gathers and there is a transmission from Cosmic Sai Baba, whom Valerie serves. Valerie also serves as a medium for many other spirit mentors, and Jalarm the Atlantean, Alcheringa, Sanat Kumara and the Aboriginal Mother Goddess Goolagaia have all come through Valerie at different times. Through the work of Jalarm, the Atlantean, and the lightworkers who do work with the Oracle, the early origins and history of our planet has been recovered. And surprisingly, the bird-peoples, the bird-like race were involved on many levels. They are the progenitors of life forms on this Earth and come from many races in many different dimensions. 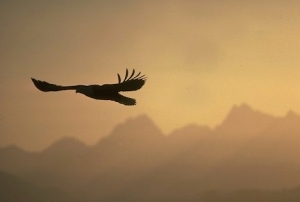 We bring you an important background to the transmission by the Ancient Eagle Woman.